Though largely unknown in the West, Edward Yang emerged, over the course of two decades, as one of international cinema's most distinctive voices and, along with Hou Hsiao Hsien, one of Taiwan's finest filmmakers. Born in Shanghai in 1947, Yang fled with his family to Taiwan during the tumult of the Chinese Civil War. At a young age, he found creative inspiration in Japanese comic books and soon began writing his own works. In 1974, having received an advanced degree in Computer Science at Florida State University, he went on to study film at the University of Southern California. He quickly grew disillusioned with the program's commercial emphasis, however, and withdrew after only one semester. He remained in America, working as a computer expert for several years. During this time, he kindled his passion for cinema by writing a script and aiding the production of the Hong Kong television movie Winter of 1905 (1981). Upon his return to Taiwan, he directed a number of television shows, including a 1981 episode of the acclaimed 11 Women entitled "Duckweed." His break came when he directed the short Desires as part of the landmark omnibus film In Our Time (1982), which heralded the beginning of New Taiwan Cinema. Like the works of fellow New Taiwan director Hou Hsiao Hsien, Yang's films infused Taiwan's moribund film industry with an unprecedented degree of sophistication and vitality. Yet, while Hou's films are primarily set in the island's picturesque countryside, Yang has created portraits of the pressures and uncertainties of urban life. His career falls into three distinct periods: early urban dramas (Taipei Story , The Terrorizers ), period films (A Brighter Summer Day , Desires), and satires (A Confucian Confusion , Mahjong ). His first three features recall the measured pacing and oblique meanings of Michelangelo Antonioni films, while they also employ complex narrative structures, flashbacks, voice-overs, long takes, and offscreen space. In these early films, his characters struggle to make sense of the chaos of a culturally deracinated urban landscape populated with icons from the West. In Taipei Story, two characters are amazed by the site of a walking Pepsi can; in The Terrorizers, an Asian-American woman clutches a U.S. Navy-issued lighter. In 1991, Yang released his masterpiece. 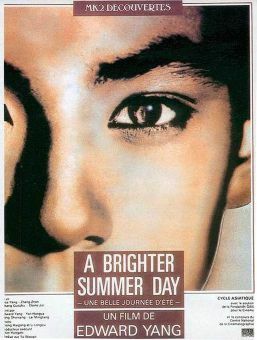 Its title taken from an Elvis Presley ballad, A Brighter Summer Day is a sprawling tale about teen gangs after the 1949 exodus of mainland Chinese to Taiwan. As in his earlier films, Yang used an intricate narrative structure to paint the portrait of a society in flux, but in this case, he explored thornier social issues such as the clashes between Chinese immigrants and native Taiwanese, the political imperialism of pre-war Japan, and the cultural imperialism of post-war American pop culture. For his next two films, A Confucian Confusion (1995) and Mah-jong (1996), Yang created a pair of frenzied screwball satires that pushed his preoccupation with cultural disassociation to an extreme. He depicted Taipei as a postmodern quagmire in which the false and the authentic, the modern and the traditional, are utterly blurred. Fans would have to wait over four years after Mah-jong for Yang's next realized film, but that effort qualified as an undisputed masterpiece and the culmination of the director's long career. 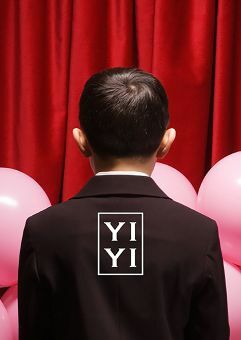 The epic Yi-Yi (AKA A One and a Two, 2000) interweaves numerous story strands over the course of its three-hour run time, in its dramatization of the many everyday miracles and wonders befalling the members of a single Taiwanese family. As such, the film constitutes a vast multicolored tapestry of life. 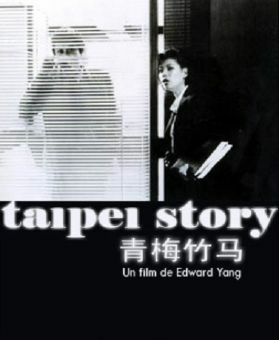 This very special movie rightly won the Cannes Best Director award for Yang and made dozens of "ten best" lists in 2000; Susan Sontag and others hailed it as the finest movie of the year. Tragically, this film - which elevated Yang's career and art to a new level -- would be his last. Around seven years passed without a new Yang film; for much of that time, the director was reportedly struggling with colon cancer. In early 2007, he announced a new project collaboration with Jackie Chan - a feature-length animated film called The Wind. That June, Yang died of colon cancer at age 59, at his home in Beverly Hills, California. In all of his films, Yang examined Taiwan's modernizing society under a moral microscope. Skeptical of the commercial amorality of the West and keenly aware of its destabilizing effects on Eastern cultures, he saw even less viability for such traditional philosophies as Confucianism in a globalizing economy. Yang's films, while investigating the past and present, cast a wary eye towards Taiwan's uncertain future, making him a wholly unique figure within Asian cinema.